Posted April 1st, 2019 by Matt Doll. Last month, Governor Tim Walz announced that his administration would allow the Department of Commerce to continue an appeal – begun under the Dayton Administration – of the Public Utilities Commission’s (PUC) decision to grant a Certificate of Need for the Enbridge Line 3 pipeline. This week, the Minnesota Senate passed a bill to block that appeal by prohibiting the Department of Commerce from using state funds to finance the appeal. MEP and our partners testified against this bill stating that it is the responsibility of the Department of Commerce to use its authorities to protect the long-term well-being of Minnesotans. Some Senators who voted in support of the bill (SF 1757) argued that the cost of the appeal is a misuse of taxpayer dollars. The cost of this appeal – reportedly about $41,000 thus far – pale in comparison with the environmental and health-related costs of constructing this pipeline and facilitating the transport of millions of barrels of emissions-heavy tar sands oil through it. MEP has detailed why neither the replacement Line 3 nor the existing, aging Line 3 are necessary, justifiable, or financially beneficial to Minnesotans. We concur with the Department of Commerce, indigenous voices, climate scientists, and advocates from around Minnesota that this new line should not be built – its tremendous cost to our natural resources and our planet’s climate would be far too great. 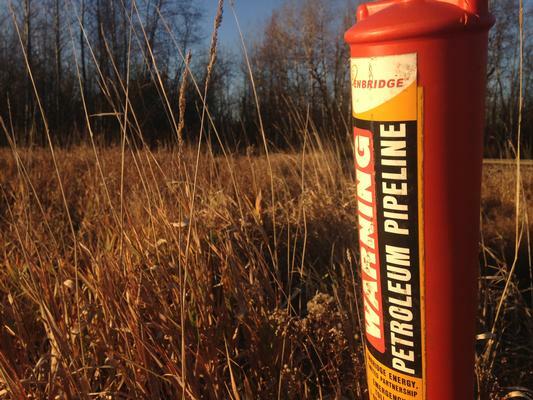 The Department of Commerce’s appeal – along with those filed by Minnesota advocacy organizations – is part of the defense against the risk of Line 3, and stands in opposition to a concerted and well-funded campaign by Enbridge. Enbridge was the biggest lobbying spender in 2017, when its $5.34 million was the highest of any organization’s expenditure over the previous ten year period. That sum was extraordinary enough, but it was merely the pipeline company’s opening act. It was reported last week that Enbridge spent a whopping $11 million lobbying for Line 3 in 2018, and again, by far, more than any other organization in Minnesota. Minnesota has been fortunate to have strong voices – armed not with $11 million, but with courage, facts, and solidarity – on the side of safeguarding our communities, water, and climate. Ordinary Minnesotans from around the state, using their talents and voices, are engaging in a powerful movement to secure the fossil fuel-free economy we need.